A worktop upstand is an attractive alternative to tiling right down to your work surfaces. This Glacier Earthstone worktop upstand measures 1.8m x 100mm x 13mm and is designed to match our Glacier Earthstone worktops perfectly, with the same ice white hue and smooth, matt surface - a stylish option for any colour scheme or décor style. 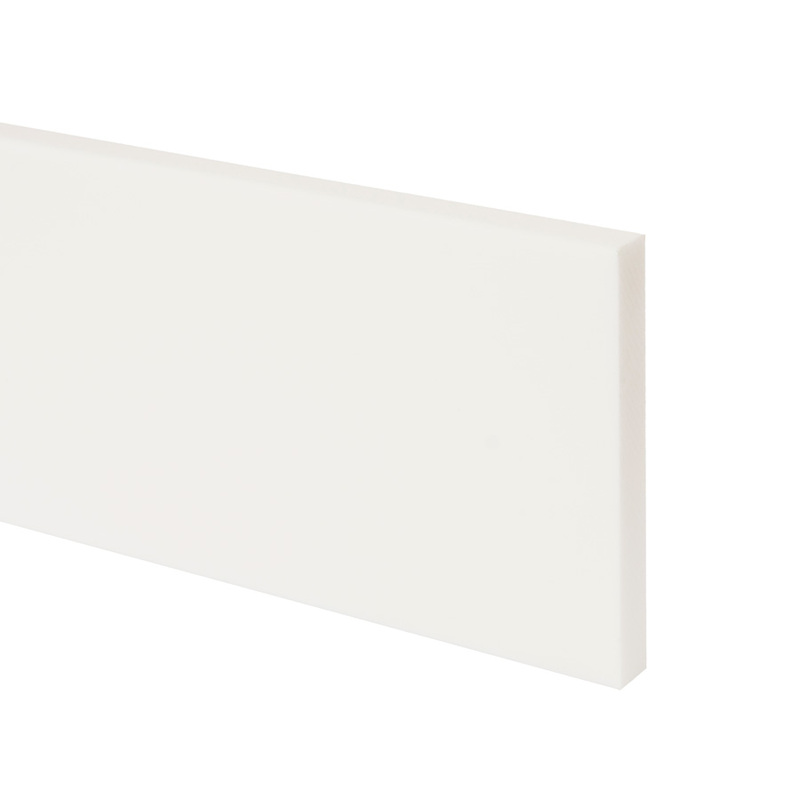 This 1.8m white acrylic upstand is manufactured using the same high-quality materials as the rest of the Glacier Earthstone range. Naturally non-porous, the acrylic used is resistant to bacterial growth, mould, mildew and a variety of household stains. A hygienic option, this upstand is easy to clean with a soft cloth and some warm soapy water. If fitted with Glacier Earthstone adhesive, this worktop upstand can blend seamlessly into your work surfaces. Indeed, as the glue is colour matched to render joins invisible, a custom-created look is produced with every installation. Another benefit of selecting Earthstone is that it can be easily repaired - and as such your 1.8m white acrylic upstand can look as good as possible for years to come.